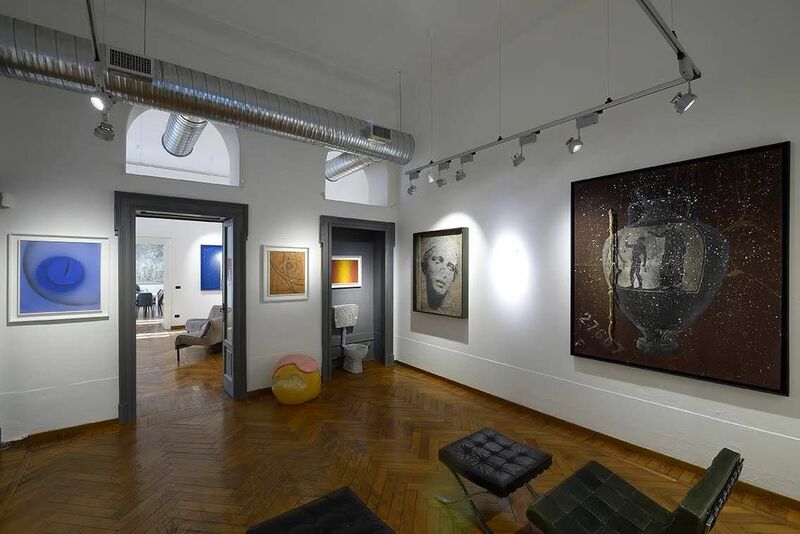 Glauco Cavaciuti inaugurates his Gallery in March 2006, dedicating an exhibition to Cracking Art artistic group. In the following years, the Gallery's expositive activity has gone up and up, containing Riccardo Gusmaroli's (Verona, 1963), Fabrizio Pozzoli's (Milan,1973) and David Reimondo's (Genova,1972) exhibitions. Since the beginning, Cavaciuti's purpose has been to promote a polished, amusing and educated art, easy to be understood and appreciated, inside which the individual vision of the artist talks with the results of the masters' recent studies. One of the Gallery's basic values, in addition to the will to make contemporary art closer to our everyday life, is the desire to collaborate with young people: over the years great importance was given to the search for the most promising art profiles, with a special consideration for Italian talents. In a short time, the suggested overview increases , including painting, sculpture and photography, in order to give a personal and complete vision about contemporary art's last progress. Among the most important artists who have collaborated with Cavaciuti's Gallery for years, we should certainly mention Alessandro Algardi (Milan,1945) and Massimo Kaufmann (Milan,1963) for research in materials and innovative techniques, whereas Giuseppe Mastromatteo (Milan,1970) and Fabiano Parisi (Rome,1977) are two important names for photography. During the last two years, the expositive activity kept its attention on personal exhibitions of Riccardo Gusmaroli, Fabrizio Pozzoli and Daniele Sigalot / Blue and Joy (Rome,1976), gaining a very good public and critics answer.